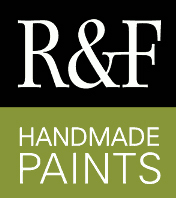 R&F Handmade Paints was established in 1988. What began as a painter’s solo endeavor has evolved into a multi-faceted paint company that is material-focused and artist-driven. Our history or story is one that finds a singular material at the nucleus, but our commitment to you, the artist, is where we find our direction.